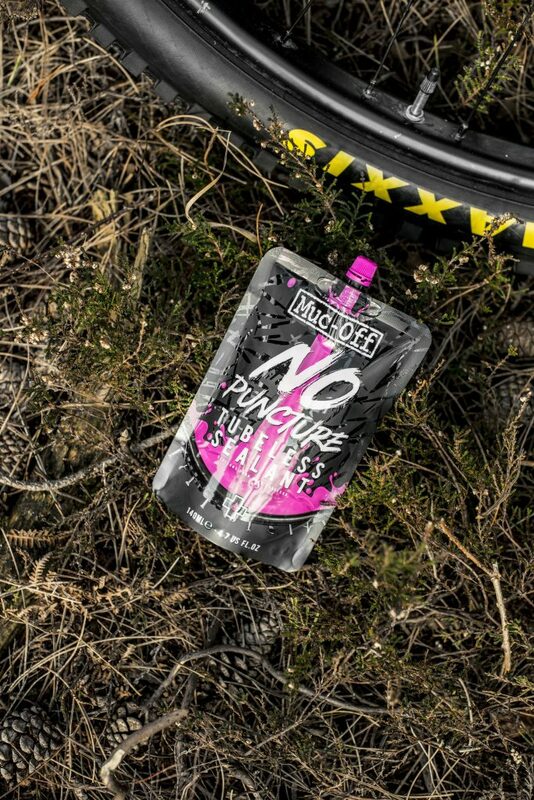 It’s no secret that we are total converts to tubeless when it comes to #dirtydropbargoodness. 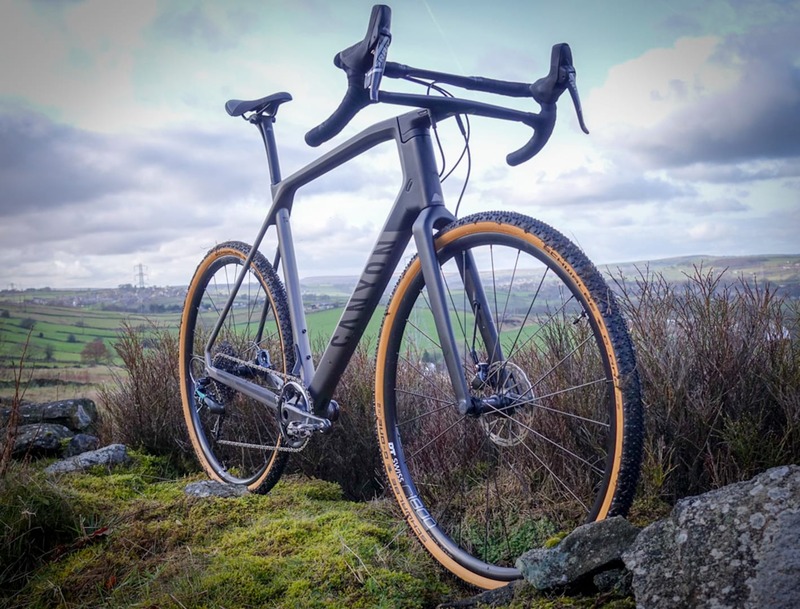 It makes complete sense – allowing us to run lower pressures, risk fewer pinches, get improved traction and generally have more fun without worrying about the dreaded hiss of a holed tube. Tubeless is only really feasible if you run some form of sealant, to fill little holes from thorns and the like. 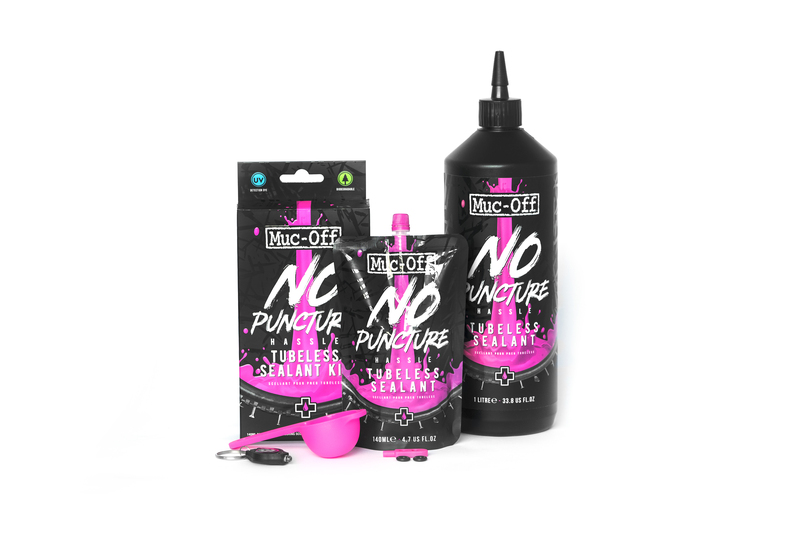 There are a fair few sealant manufacturers out there, but that hasn’t stopped Muc-Off (better known for its cleaning products) entering the market – and fair play, the company reckons it’s bringing a something new to the game. 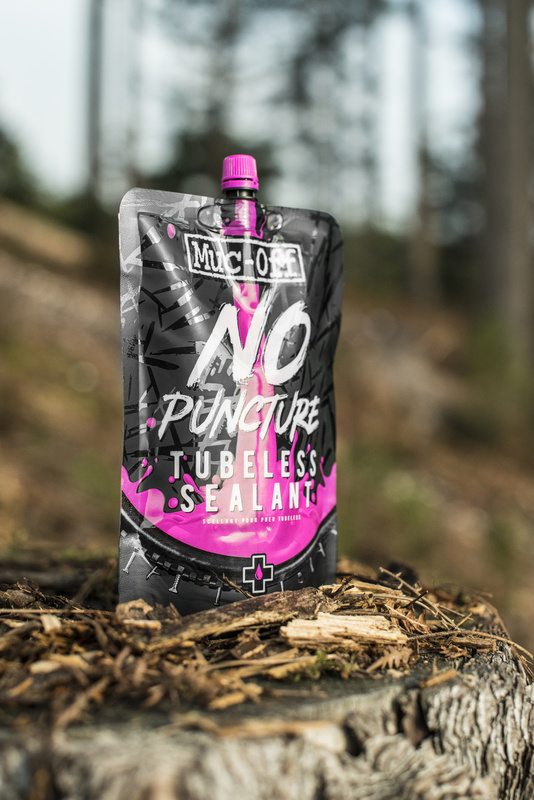 No Puncture has been developed alongside some of the world’s top downhill and pro-peloton teams to give you the finest tyre sealant available. Compatible with tubeless ready and full UST wheels/tyres, the tyre sealants 140ml pouch design fits perfectly over a Presta valve to give mess-free installation. 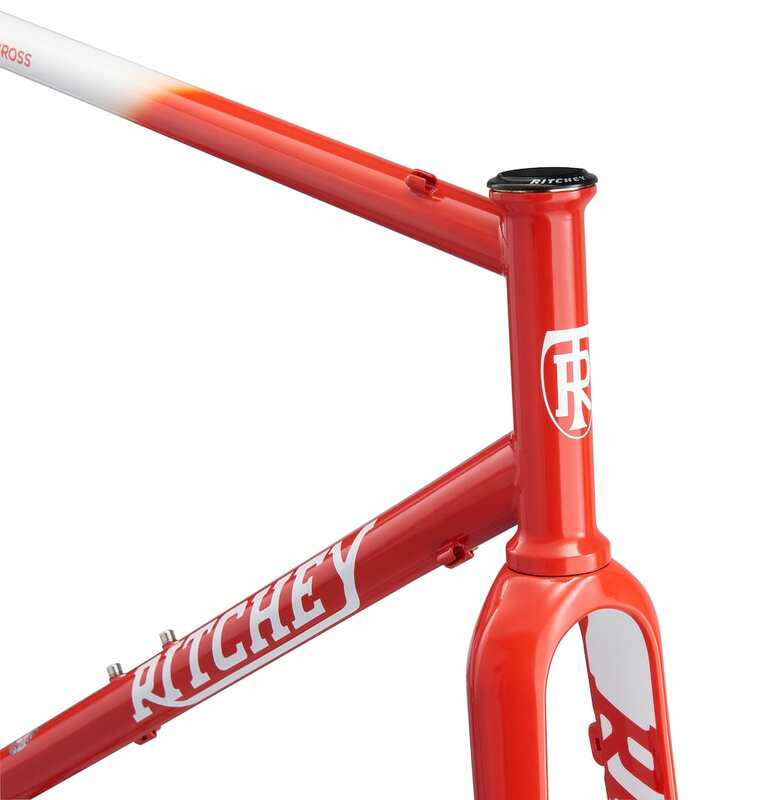 It can also be poured straight into the tyre if you don’t have removable valve cores. The sealant’s formula contains microfibre molecules that fill bigger holes and tears, whilst advanced latex clings to the whole tyre inner for maximum protection and forms a tough instant seal over the hole. Little UV light to check for leaks. Clever. 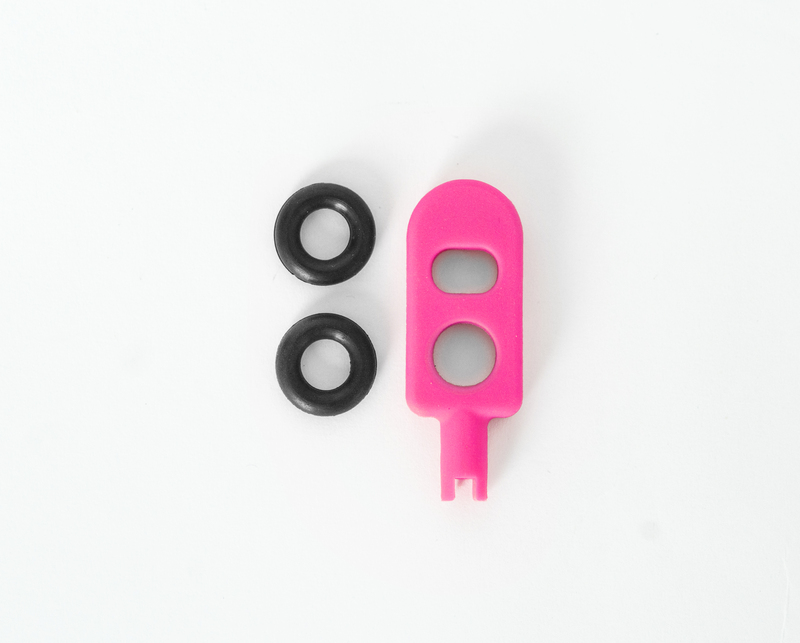 Muc-Off valve core remover. 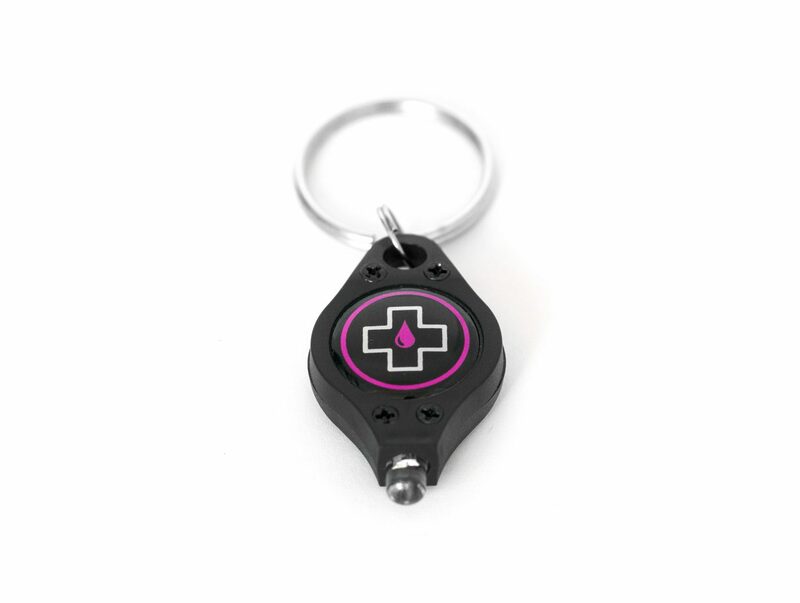 Like other tools, but pink, therefore much, much better.